Debasish Chaudhuri, Visiting Fellow at the Institute of Chinese Studies, Delhi, is an independent researcher. He holds a Ph.D. in Chinese Studies from the University of Delhi. The current focus of his research includes Chinese ethnic policies and local responses, the political economy of minority regions, Shanghai Cooperation Organization, the impact of the Belt and Road Initiative in the peripheries, Chinese nationalism as well as collective actions and dissident movements. Chaudhuri is the author of Xinjiang and the Chinese State – Violence in the Reform Era (Routledge, 2018). 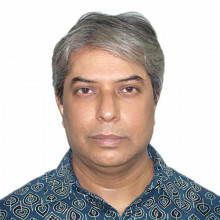 Shamshad Ahmad Khan is Visiting Associate Fellow at the ICS. Until recently, he was Assistant Professor (Visiting) at the Department of International Relations at Sharjah University, UAE. He is author of "changing dynamics of India-Japan Relations" He has many publications in journals as well as in edited books. He has authored a book on India-Japan Relations. Dr. Khan was Japan Foundation Post-Doctoral Fellow (September 2015 to August 2016) and was affiliated with Keio Research Institute, Keio University Shonan Fujisawa Campus as Senior Researcher. He has a PhD degree in International Relations (Japanese Studies) from the School of International Studies, Jawaharlal Nehru University, New Delhi. He was a Mombukagakusho Fellow at Waseda University, Tokyo while he was pursuing his PhD. He has subsequently been associated with various institutes in Japan including the Slavic Research Centre, Hokkaido University (December 2010 to March 2011), the Institute for Developing Economies (November 2012 to February 2012) and the Japan Institute of International Affairs (November 2014 to January 2015) as a Visiting Research Fellow. He has also been associated with Indian think tanks such as the Institute of Defense Studies and Analyses (June 2009-September 2013) and subsequently with the Indian Council of World Affairs (October 2013 to September 2015). He is also an Assistant Professor (guest) at the Department of East Asian Studies and has taught Japan’s Foreign Relations to the Students of Japanese studies at the Master level. Because of his contribution to Japanese studies at such a young age he was presented with the Nakasone Yasuhiro Award by Japan’s former Prime Minister Nakasone Yasuhiro in 2011. 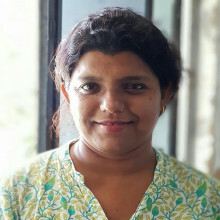 Barnali Chanda is a Visiting Research Associate at the Institute of Chinese Studies, New Delhi. She completed her PhD in Comparative Literature from Jadavpur University, Kolkata. Barnali’s PhD thesis conducts a comparative thematic study of selected strange and fantastic narratives of Pre-Modern China and India. Currently she is teaching at the Techno India University as an Assistant Professor of English. She has been teaching Chinese Language as a Guest Faculty in the School of Languages and Linguistics, Jadavpur University since 2014. Her field of interests includes comparative literature, travelogue studies, Chinese and Indian literary transactions in the classical period, reception of Buddhist ideas in the Chinese and Sanskrit marvelous stories and translation of Chinese classical and vernacular literature into English and Bengali. Barnali has co-authored two books, Of Asian Lands: A View from Bengal (An Annotated Bibliography of a Century of Travel Narratives to Asian Lands in Bangla) published by Jadavpur University in 2009 and Tellings and Retellings: Strange tales of Medieval China, published by Jadavpur University in 2015. Barnali was selected as an ‘Emerging Scholar’ by the India China Institute, New School, New York in 2015. She received the MOFA Huayu Enrichment Scholarship (2011-2012) and the HRD Chinese Government Scholarship (2008-2009). Mirza Zulfiqur Rahman holds a PhD in Development Studies from the Department of Humanities and Social Sciences, Indian Institute of Technology (IIT), Guwahati, Assam. He completed his Masters of Philosophy from the Diplomacy and Disarmament Division, Centre for International Politics, Organization and Disarmament, School of International Studies, Jawaharlal Nehru University, New Delhi; his Masters in International Relations from the School of International Studies, Jawaharlal Nehru University, New Delhi and his Bachelors in Political Science Honours from Hindu College, Delhi University. His areas of interests include research on Northeast India, mainly on issues relating to transboundary water sharing and hydropower dams, roads and connectivity infrastructures, conflict and insurgency, peace building, development politics, migration and cross border exchanges. His research specialization is on border studies in Northeast India and transboundary water sharing and management issues between China, India and Bangladesh. He is committed to grassroots based alternative community work and development models. He has travelled extensively in parts of Northeast India for research work. He has led research teams in Northeast India, and has travelled parts in China, Bhutan, Bangladesh, Thailand and Myanmar for research. 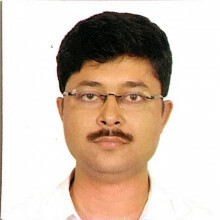 He has worked as a consultant on many research projects in Northeast India. He has teaching experience as Visiting Faculty, and has participated in several workshops and academic conferences.